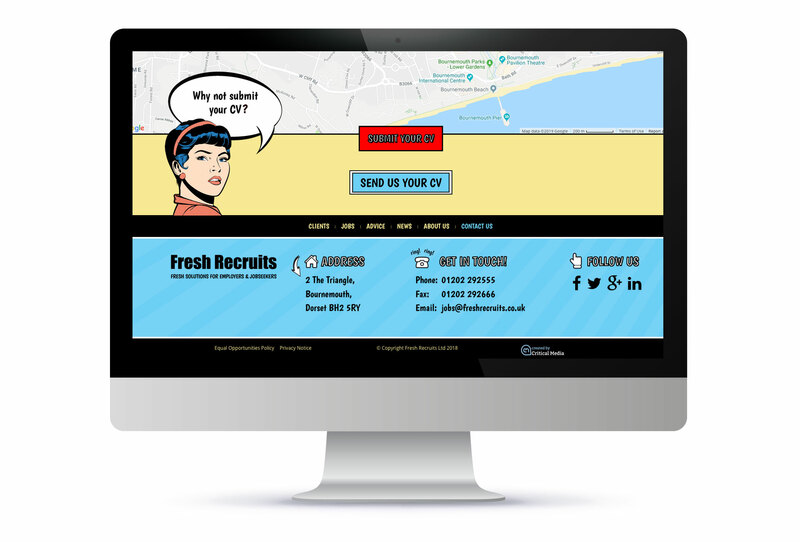 Fresh Recruits brings a breath of fresh air to the recruitment industry in Dorset. They are committed to delivering an exceptional, honest and transparent service to both jobseekers and employers looking for recruitment solutions. Our brief was to create a comic strip style site with a strong professional image – bit of an oxymoron really but a challenge we were more than happy to accept. We set about this with great joy, creating a full set of characters to help with the messaging which we then put to work on a lovely bright colour base in keeping with Fresh Recruits’ brand feel. The site itself features a fully responsive ‘bespoke’ design, created in photoshop and bought to life by our team of front-end coding wizards (using a variety of ones and zeros J). 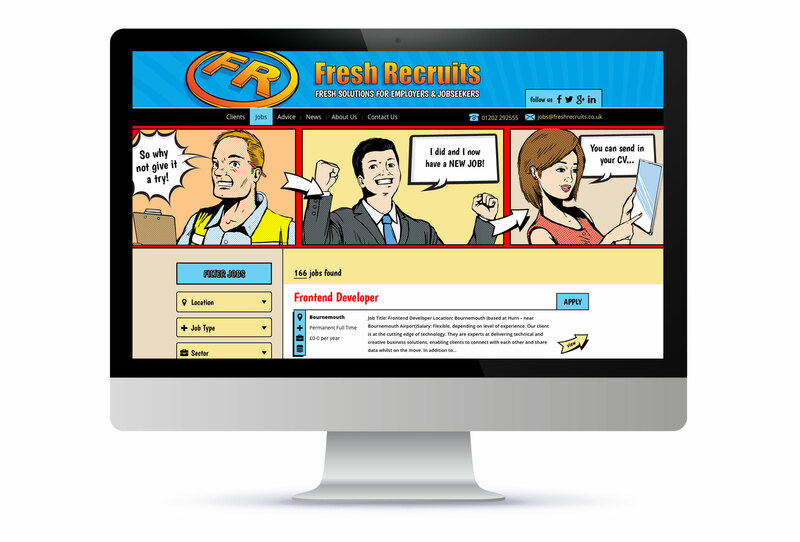 In order that Fresh Recruits can manage their own content we connected a WordPress back end and integrated their broadbean feed, enabling them to post all advertised jobs in one place, feeding automatically onto the site.